Robert King is widely acclaimed as one of the leading British conductors of his generation, enjoying for nearly 30 years a dynamic career across the globe in an unusually varied range of repertoire from Rameau to Rossini, Vivaldi to Vaughan Williams, Bach to Beethoven, Handel to Howells, Fasch to Finzi, Purcell to Pärt, Gluck to Gubaidulina, Schütz to Saint-Saëns, Mozart to Mendelssohn and more besides. Born in 1960 he was a chorister with the Choir of St John's College, Cambridge, where his solo performances included a best-selling recording of Duruflé Requiem. Whilst at Cambridge University in 1980 he founded the period instrument orchestra and choir The King's Consort, with whom he has toured almost every European country, North and South America and the Far East. He has made 95 recordings which have sold in excess of one million CDs and won many international awards. 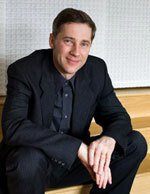 He made his BBC Proms conducting début in 1991 and has since been invited a further seven times. Robert King's busy international conducting schedule has seen performances in the USA with the New World, Seattle, Baltimore, Houston, Oregon, Detroit, Atlanta, National, Minnesota and Pacific Symphony Orchestras, in Canada with the Calgary Philharmonic Orchestra, Manitoba Chamber Orchestra and Les Violons du Roy, in Scandinavia with the Bergen Philharmonic, the Danish National Radio, Stavanger, Malmö, Trondheim, Sondjelands, Norrköping, århus, Aalborg and Iceland Symphony Orchestras and the Jönköping Sinfonietta, in Italy with the RAI National Symphony Orchestra and Orchestra Verdi Milan, in Germany with the NDR and WDR Symphony Orchestras, the Hamburg Symphony and Munich Radio Orchestra, in Switzerland with the Zurich Chamber Orchestra and RTSI Symphony, in France with the Monte Carlo Philharmonic, in Holland with the Nederlands Kamerorkest, in Spain with the Orquesta Ciudad de Barcelona, Orquesta Pablo Sarasate, Orquesta e Coro Ciudad de Madrid, Real Filharmonia de Galicia and Real Orquesta Sinfónica de Sevilla, and in Hong Kong with the Hong Kong Sinfonietta. King is also a noted choral conductor who has worked with the Nederlands Kamerkoor, Orfeón Donostiarra, Swiss Radio Choir, Collegium Vocale Ghent and the BBC Singers. Operatic work has included Handel Ottone in Japan and the UK, Handel Ezio in Paris, Purcell The Indian Queen in the UK and Germany, Purcell The Fairy Queen in Spain and Britain and Gluck Armide for Buxton Festival. Robert King's repertoire, besides especial acclaim for his interpretation of baroque music, also includes a wide spread of classical and early romantic works, both symphonic and choral, with a particular focus on the music of Mozart, Haydn and Mendelssohn, and a continuing specialisation in early twentieth-century English composers, notably the works of Ralph Vaughan Williams.